For over 55 years, Nardy Pest Control has been recognized as the foremost pest control company on the East End of Long Island. 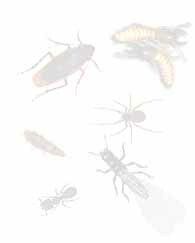 Our company was founded by Robert Nardy Sr. around a scientific approach to the practice of pest control. As Robert Nardy Jr. continues the tradition of professionalism and quality that the Nardy name has come to stand for, the latest developments in pest control technology, including IPM techniques, keep Nardy on the forefront of entomology and pest management. On any given day, there are up to 3 different Nardy's working in both the field and the office. The family is a strong influence upon the practices of our employees and we are known to take extra care to protect your family as we effectively provide pest control services for your home and/or business. Nardy employs new techniques, including the latest in IPM techniques and utilization of the most advanced pest control products to provide pest management solutions. We use Integrated Pest Management (IPM) in our practice in order to apply the least amount of pesticides while still closely monitoring and controlling your pest populations. Whether we come to treat a carpenter ant's nest or remove a raccoon, we provide a guarantee that our work will be done effectively and on time. In fact, we are recognized for our concern in providing prompt, accurate, and courteous service.